For Immediate Release: Posted On 10/26/2009 By Industrial Magnetics, Inc. Designed for retrieving broken drill bits from oil and water wells, this retriever captures metal objects from any wet or dry area that requires large lifting capacity in a small package. A powerful Rare Earth permanent magnet is encased in a Stainless Steel housing for a long, non-corrosive life. 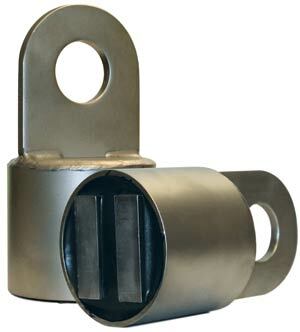 The large lifting lug allows for fast attachment to chains, rope, slings, cable, etc. The Heavy Duty retriever magnet(HDR3045) measures 3” diameter by 5-3/4” high, weights approximately 5 lbs and has a 300 lb. holding value.